“By the end of April the commitment is complete. Late Spring or early, we are on our way into the fullness of mid-May, and June will come billowing across the meadows before we know it. Meanwhile there are a lot of things to be done. All the buds have to open, all the acres of chlorophyll have to be spread in the sunlight, all the early blossoms have to unfurl. The earth has to get on with its vernal business. It is perhaps significant that April, back at the root of the word, meant “the open air,” the air out-of-doors. So it is only reasonable that we should expect much of April after Winter and March, when the open air was somewhat less than hospitable. April is an opening up, not only of the bud but of the heart, for of all the seasons this is the one in which we have the most urgent need to participate. We must have a part in the new awareness, the partnership with time and sunshine. Man is more than a shrub or a vegetabe, but he, too, needs Spring. So, we come to the end of April, even a chilly April, with birdsong around us and some of Spring’s color; and we feel the strengthening sun, we sense the opening buds, we know again that no Winter lasts forever, no Spring skips its turn. April is a promise that May is bound to keep, and we know it.” – Hal Borland, Sundial of the Seasons, 1964. Cook College at Rutgers University has an Agriculture Field Day each year “to celebrate the unique connection between the land grant system of colleges and the communities they serve”. 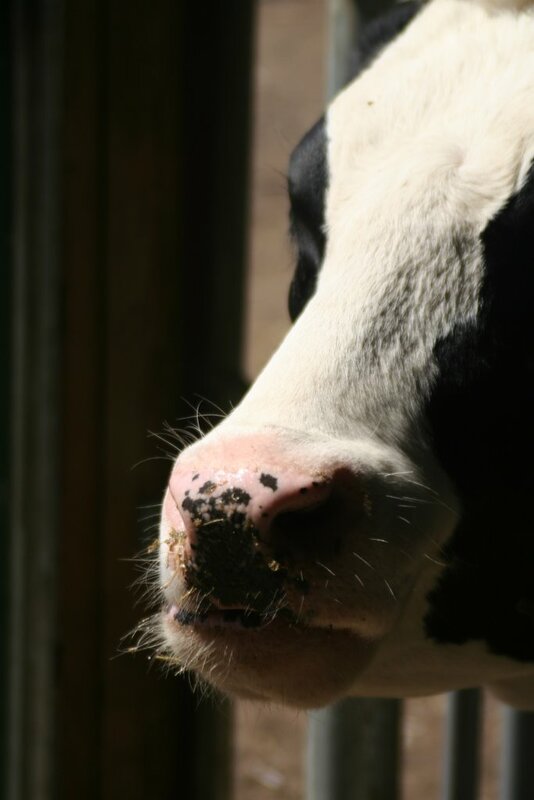 For me it was an excuse to take photos of cute farm animals and buy plants. I really liked the cows until one decided he wanted a taste of me and licked my arm. That was a surprise! My husband is a bit bored by my fascination with animals (honestly, I’m like a little kid and have to pet each one) – I guess because he grew up caring for horses, goats, and ducks with his parents. He was a good guy today and put up with my silliness. It was a beautiful day and we both really should have been at home working in the garden. There’s tilling to be done and fencing to fix, but I’ve wanted to see what Ag Field Day is all about for a while. All of the animals are raised and cared for by students and today was a chance for them to show off the work they do. The Cooperative Extension and Master Gardeners a lso had a display and plant sale. We got there late so most of the heirloom tomatoes were already sold out, but I did find a few Brandywine plants and some of the Rutger’s variety that are so popular. My husband was happy to buy a few of the Angel’s Trumpets that he loves so much, but are difficult to find. We grow these in large tubs most years and try to over-winter them in the basement, but have very little luck with it. Someday we’ll find a friend with a greenhouse and some spare room for my husband’s tropical plants! Missy is a lil’ Hot Bun! 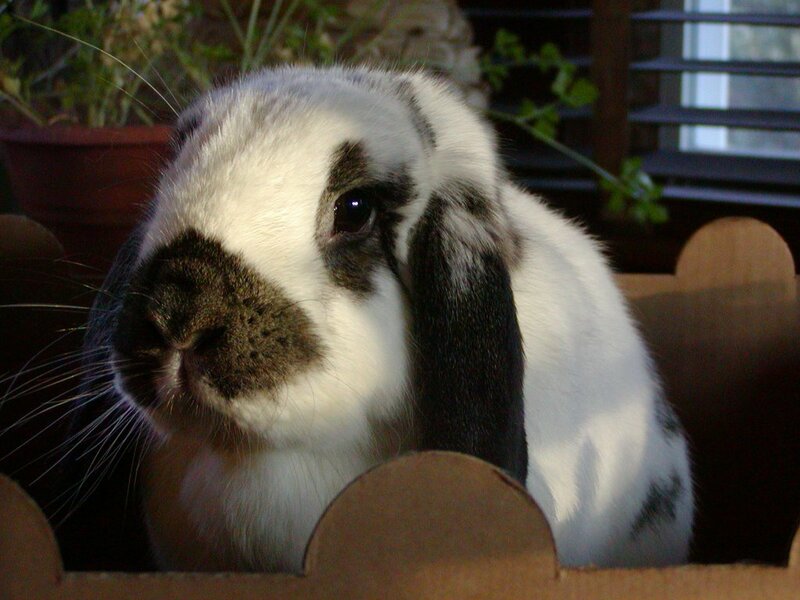 This post back in February announced the Hot Buns 2007 Calendar Contest which benefits The Rabbit Habit . The winners were announced today and my photo of Missy won! There were a total of 36 winners (out of near to 300 entries) and the 2007 calendar will include a large feature photo and 2 smaller photos for each month. Missy will be one of the small photos for the month of January. I took this photo of her atop her cardboard castle a few years ago. I really liked the warm glow of the setting sun on her face. I love this contest and calendar because it features many of my friends from the PetBunny List. Quite a few of us from PB are winners. Below are pics of other PB bunnies who won this year. Congrats everybunny! Wally (Mr. June) from Ca. The National Wildlife Federation recently announced the winners of its 2005 photography contest and is now accepting entries for the 2006 competition. This photo of a belted kingfisher is my personal favorite, but the grand-prize winning photo, of a great gray owl, is breathtaking. Click on the photo above to see the other winning photographs. Pros, amateurs, and beginners (like me) are encouraged to enter in 8 categories ranging from birds to plants to underwater life. The talent for photography that I see daily on the blogs I frequent makes me believe that many of you should enter this contest. Go for it! Rules: Post a list of the 10 birds you consider most beautiful on your blog; you may limit the list to the ABA area (continental United States and Canada) or use a geographic area of your choice. Mark birds you have seen with an asterisk. Tag 3 bloggers to keep it going. I’ll tag Susan, Endment, and Pam. Have fun making your list! Just a note to add that another NJ birding blog, The Hawk Owl’s Nest, picked up this meme. 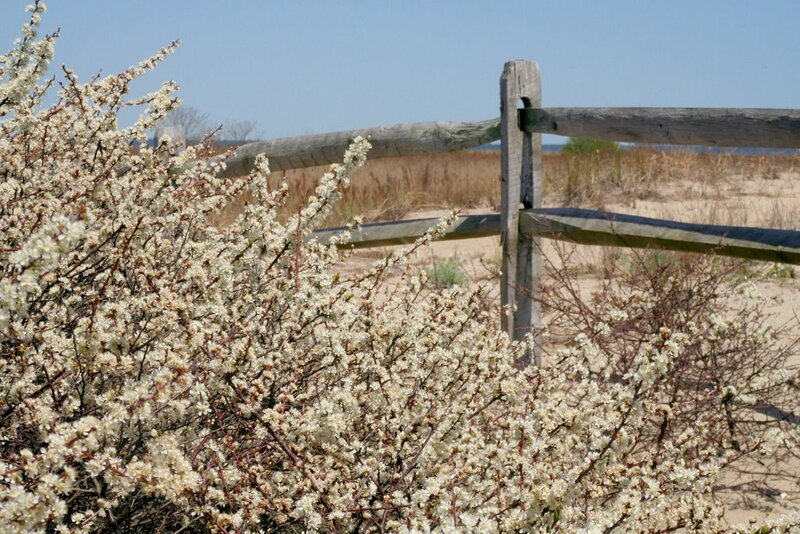 Patrick is a fellow NJ Audubon volunteer and has a great blog. Stop by and say hello. Cricket (on the bottom) is not nearly as uncomfortable as her squished-up face makes her look in this photo. I had to sneak up on them with my camera early yesterday morning, in between getting myself ready for work, to take this photo. It seems to be their favorite way to snuggle at night, lately. 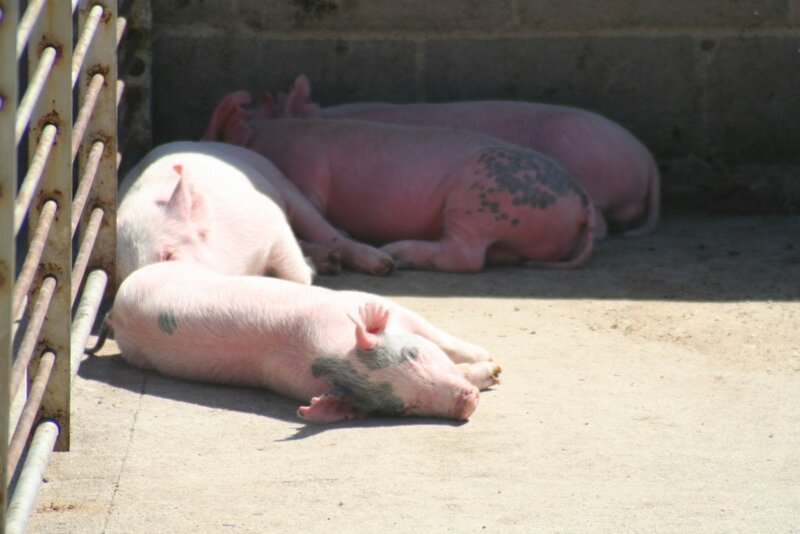 During the day, they curl up together side-by-side in their hidey-box, but at night Boomer and Cricket will come out of their pen and lay this way on their poppy-covered rug, watching us watch them in the living room. 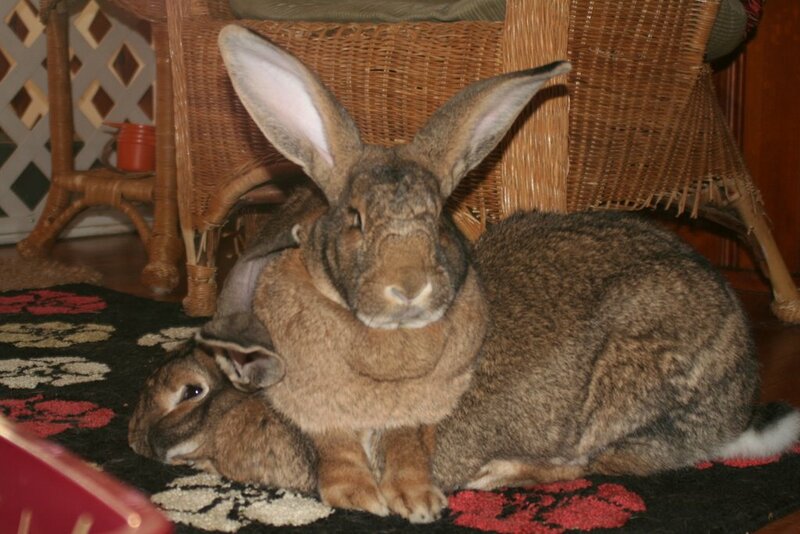 I’ve seen photos of other bunnies snuggling this way and have to say how adorable I find it. It is a little alarming to consider that Boomer weighs about 20 lbs., but Cricket is content to have Boomer nap atop of her, so long as he wakes occasionaly to wash her ears. Once she’s had enough, or can’t hold her breath any longer, she’ll back out from under him. These two are so affectionate with one another – it is a joy to witness the contentment in all their bunny *doings*. When I first started growing things I was organized. I drew plans on graph paper and kept those annoying little plastic labels next to the plants when they went into the ground. Not anymore. So many plants have died and been replaced or have simply vanished without my noticing that I’m never really sure what anything is until it blooms. I used to be on the mailing list for a catalog that specialized in n ative prairie wildflowers. 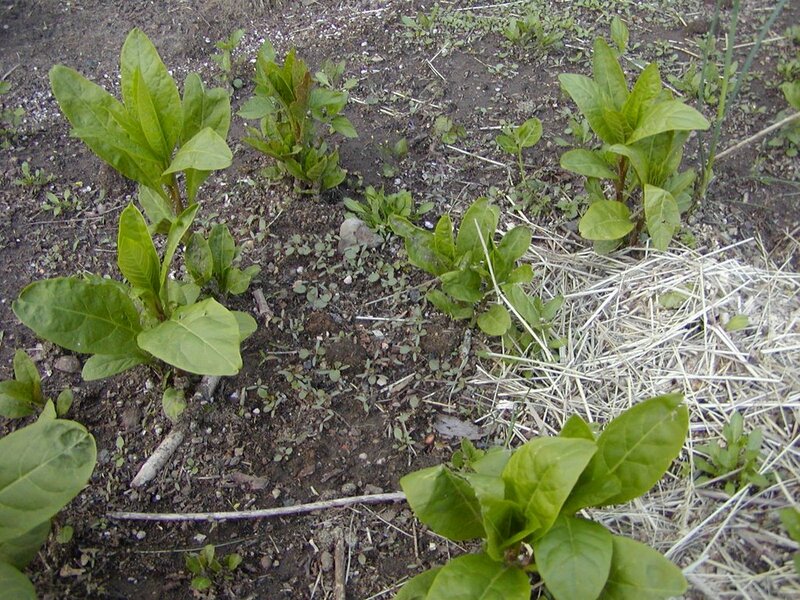 A useful feature of that catalog was a little picture of what each seedling would look like after it had been growing for a while, so that the gardener wouldn’t mistakenly pull out a good plant thinking it was a weed. For the most part, I can recognize the obvious weeds, like onion grass and pigweed, but sometimes I’m not so sure. These are growing in the vegetable garden and I would like for them to be arugula (does anyone know if that is perennial?) because they almost seem to be growing in rows, but I’m afraid it’s actually pokeberry. We have a lot of that, but I don’t recognize it until it’s big and really hard to pull out. 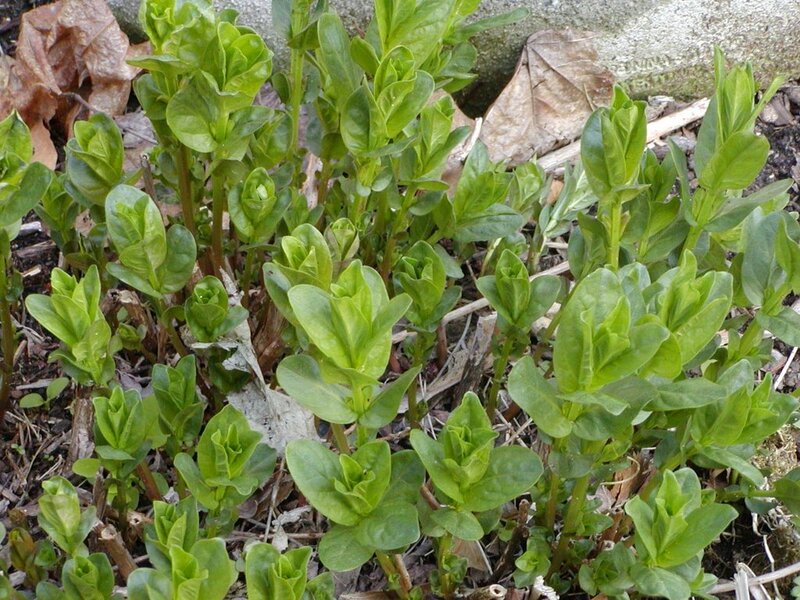 Some plants are ea sy to recognize by the shape of their leaves or stems. 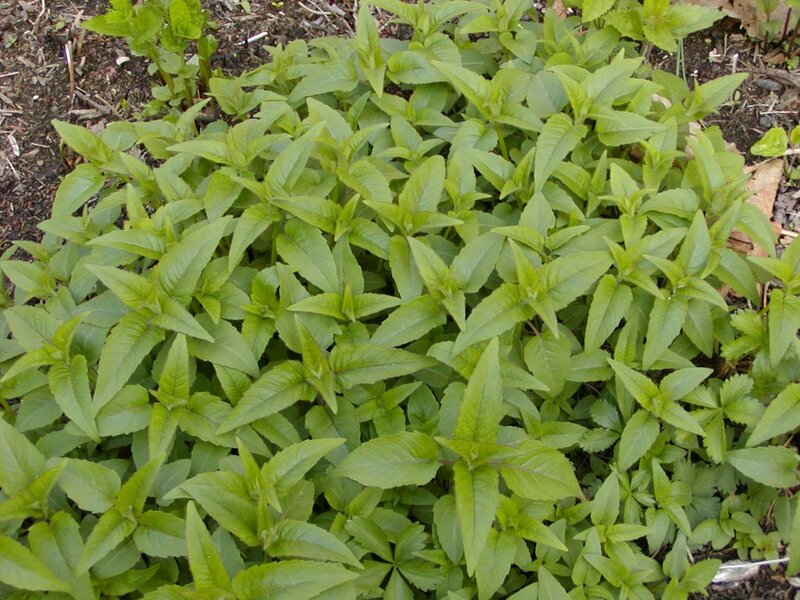 This is an expanding patch of bee balm which is easy to know by its square stems. Every year it grows a bit larger and I’m careful not to pull any of it out. Any early-summer hummingbirds I get just love this plant. 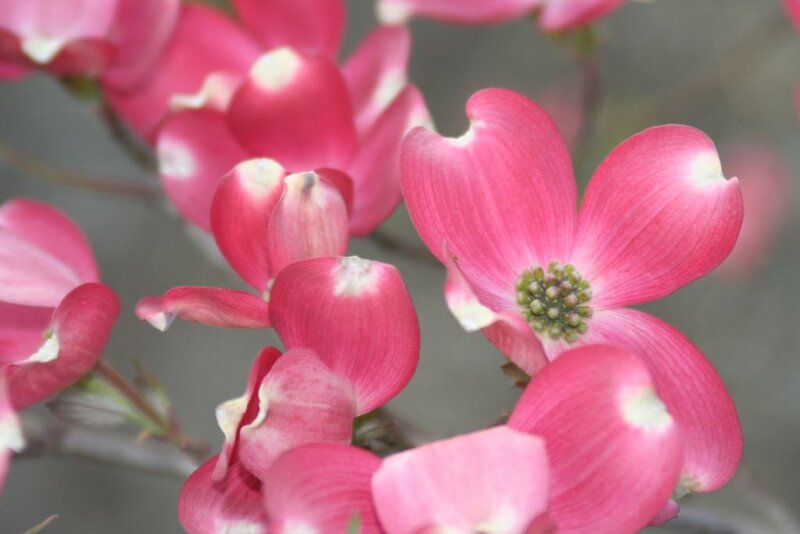 This one is a red variety, but I would really like to find the pale purple type that grows wild. Local nurseries sell a purple one, but it is very prone to mildew in my garden. Someday I’d like to get back in the habit of labeling things. Really thoug h, I enjoy the surpise of not knowing. I just wish weeding weren’t so difficult this way. Not knowing whether a plant is *good* or a weed is a handy way to procrastinate, isn’t it? 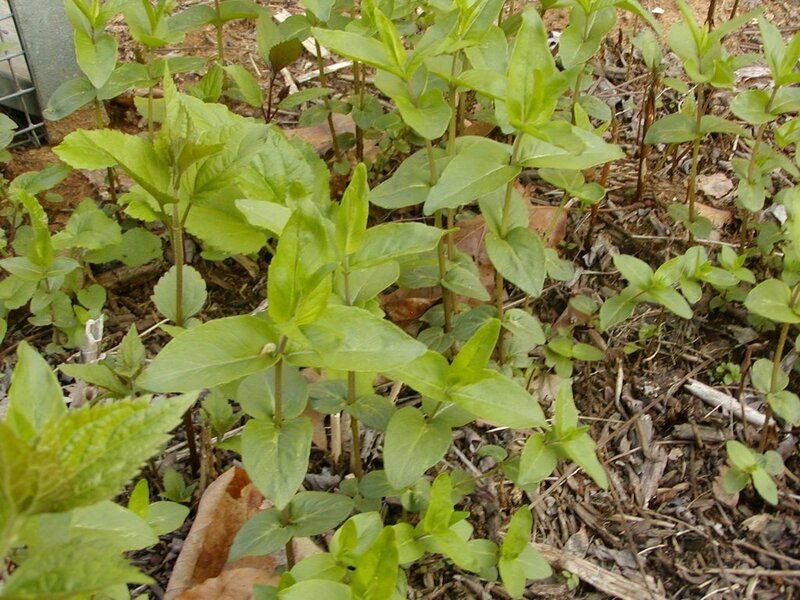 I think this is Swamp Milkweed in the photo at right, but I see some little weed seedlings in the middle there trying to hide. If anyone knows if the plant on the right above is pokeberry, please do let me know! The house wrens have returned in the last few days and one is already filling a nesting box with sticks. I’ve put out plenty of boxes hoping to divert him from the box that I think a pair of chickadees may be using. This one was not happy with me as I took his photo – his scolding attracted a few chickadees to come and see what I was up to, and then a nearby squirrel also scolded me with its raspy voice. 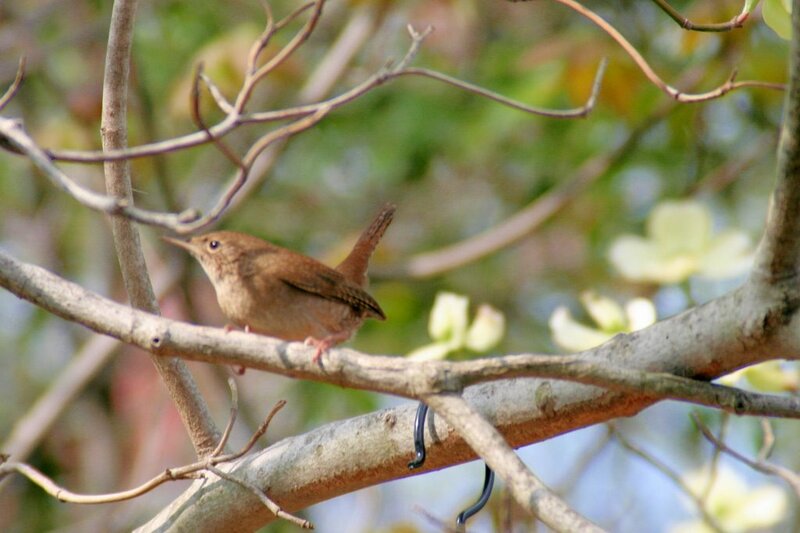 I love to hear their bubbling song when I’m working out in the garden. They sing incessantly; their song by midsummer becomes little more than background noise. Then suddenly they are gone in late August and the garden is quiet without them. 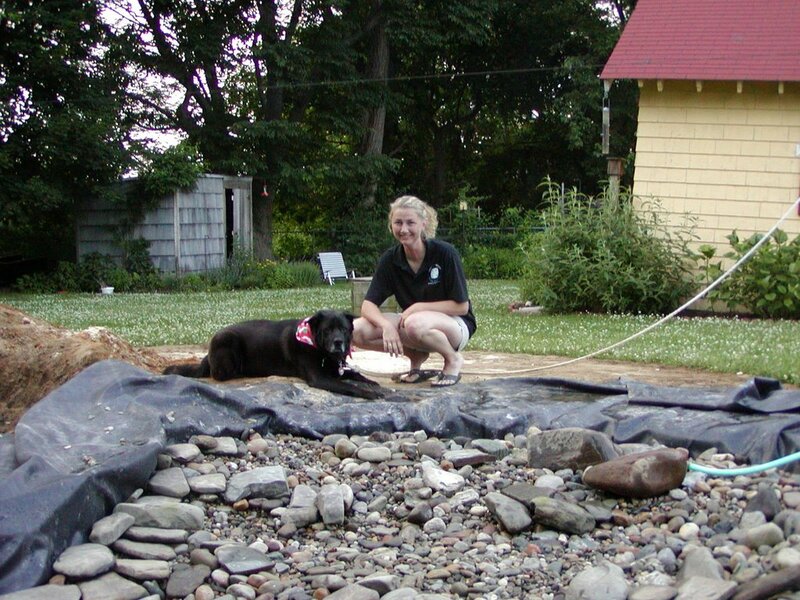 Susan is thinking about a pond so I thought I would post some pics and links from when we did ours. Our yard used to have lush, well-manicured grass shaded by many black locust trees. Over the years, most of the locusts fell in late-summer storms and the beautiful lawn turned weedy when my husband didn’t have time to care for it. The circle garden went through many re-dos and we finally decided to put a pond in this area. We did a lot of reading and planning. I wanted a pond for wildlife and plants, rather than a sterile koi pond. 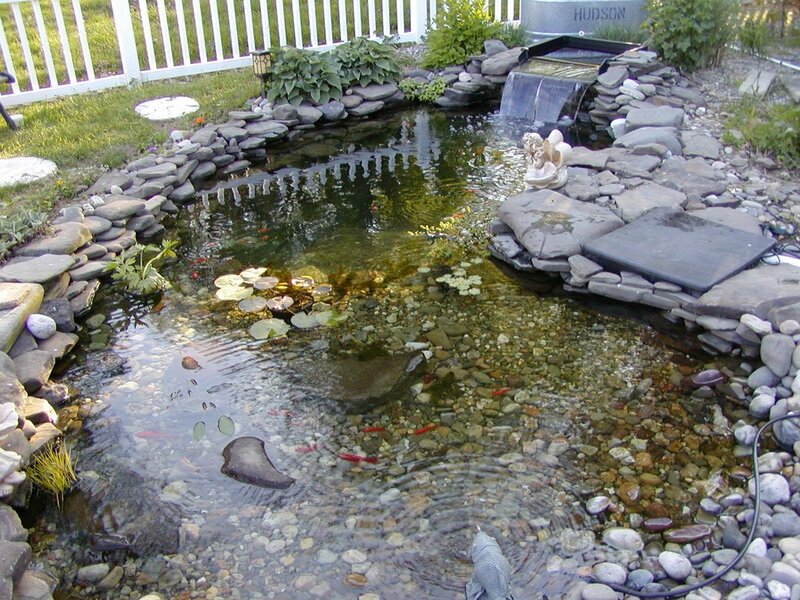 One of the first websites I found that had good information about how to build a wildlife pond was this one. I got the idea to build a shallow beach area from that site. The beach, and the easy access it provides for wildlife, continues to be my favorite feature of our pond. 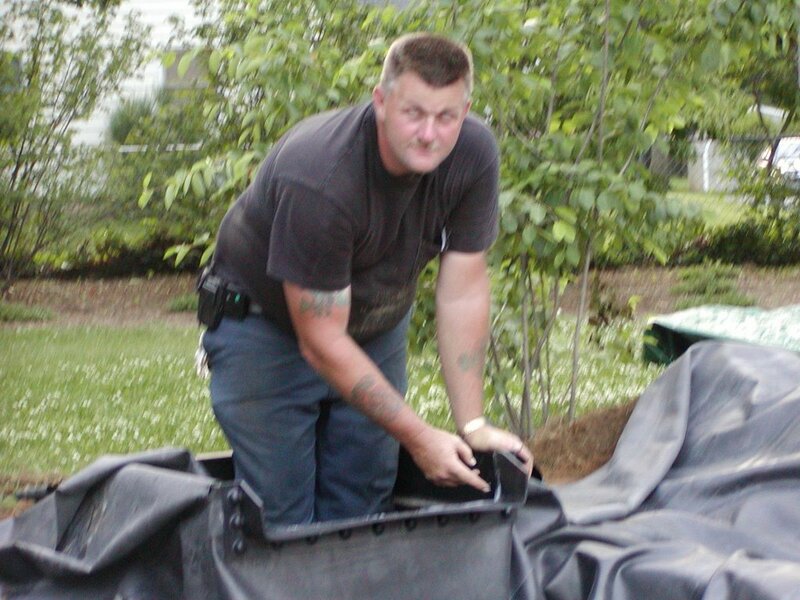 I was mostly concerned with the pond’s design, while my husband was in charge of the mechanics (and the heavy labor). 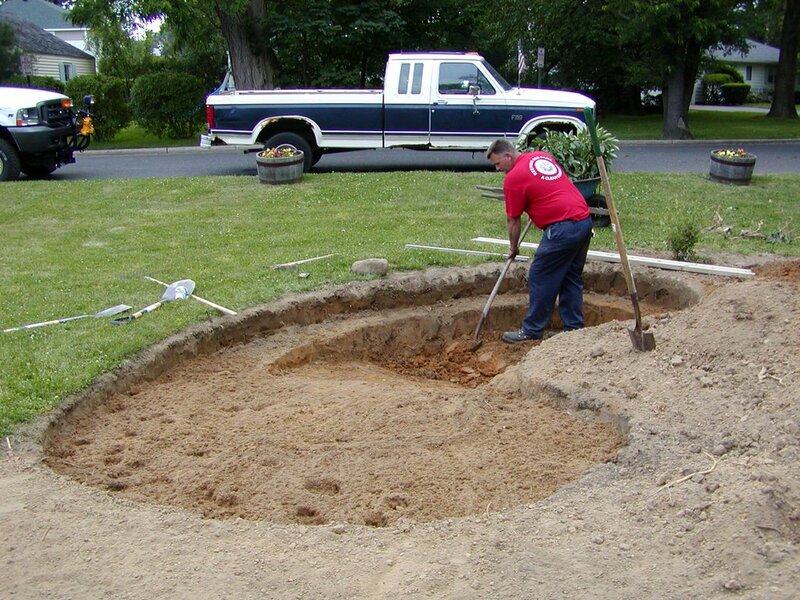 We decided on a kidney-shaped pond with a liner, rather than a pre-formed pond that could be purchased because we had more choice in size and depth that way. 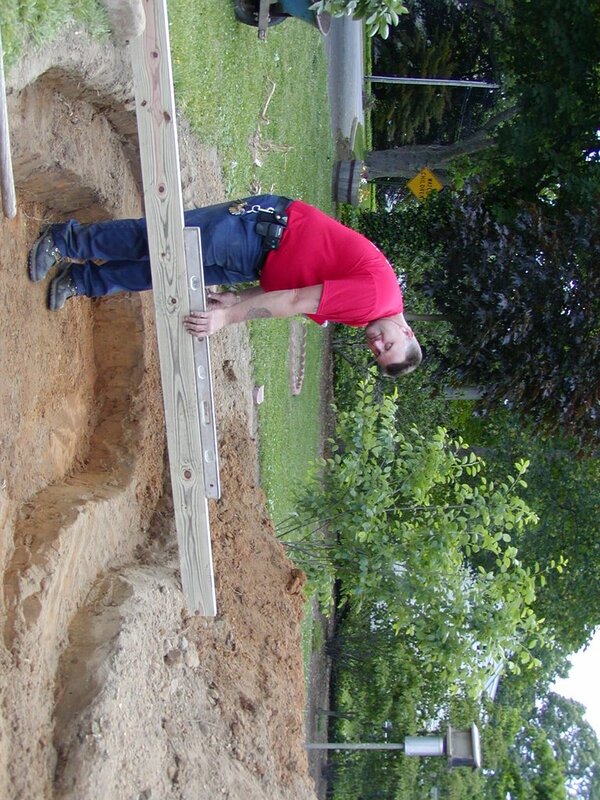 In this photo you can see my husband digging out the deep end which is about 4 feet deep. You can also see that he has left a “shelf” around the far edges of the pond where we place plants in baskets – this is handy for marginal aquatic plants that like the shallow depth. My husband laid do wn the liner and we covered it with river rock. I had read many bad things about using rocks on the bottom, but stubbornly decided to ignore it all because I liked the look so much. Over the years, we’ve removed the rocks leaving them only in the shallow half of the pond. What we should have done was install a bottom drain. Without it, the rocks accumulate a huge amount of mulm that is impossible to remove. As it is, the rocks in the shallow end require constant attention and removal of string algae and accumulated fish poop. The bare liner is ugly, but in mid-summer you can’t even see it once the water lillies and other plants have covered the surface of the water. 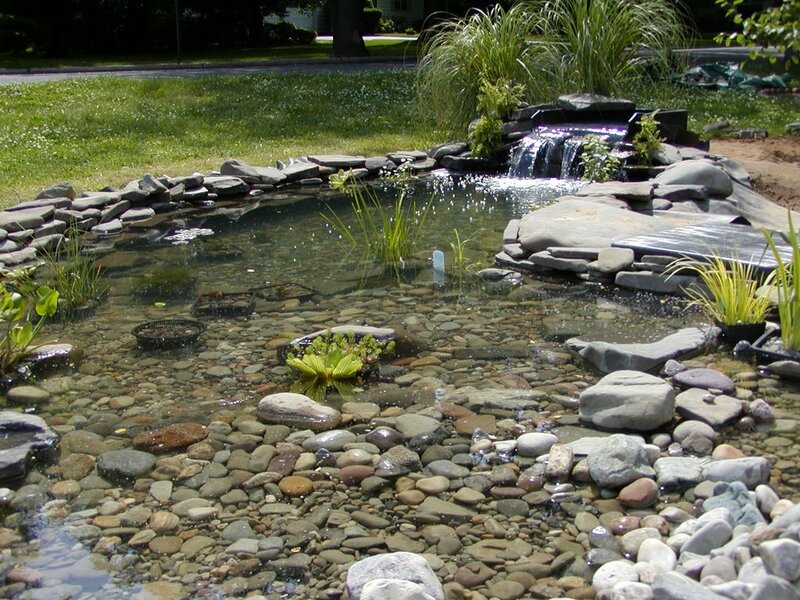 We use a biological filter from PondSweep that is the base of our waterfall and a skimmer – much like a backyard pool. The pump and filter runs only during the warm months because it costs so much to run the pump. We probably will need to replace the pump this year and I’d like to buy a more energy efficie nt one. The good ones are expensive, but hopefully we’ll save money on the electric bill. One of the most important items we purchased was a UV light to keep the algae at bay and the water clear. We’ve yet to have an algae bloom that turns many ponds to pea soup. I use plenty of oxygenating plants and don’t add any chemicals, and test the water frequently. 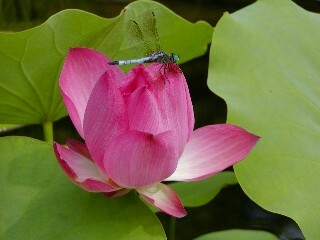 We also have very few fish for the size of our pond; that’s important! Our pond is just under 1,000 gallons, yet we keep at most only 30 small goldfish. I don’t feed my fish 3 times a day; in mid-summer they’re lucky to be fed at all, in fact. Too much food just increases the load on the filter. The fish are growing very slowly as a result, but the whole system is healthier that way. This summer will be o ur pond’s fifth year and it still isn’t finished, really. I’d like to re-do the waterfall one day to make it look natural. I don’t know why we didn’t do that to begin with. The landscaping around the pond still needs work. I’d like a very lush look like you can see in some of the links below, but the pond is in full sun all day and the rock makes it very hot out there and hard to grow the mosses and ferns I’d like to use. I’m trying out plants each year to see if they can survive the desert-like conditions that surround the pond. We added a small bog garden adjacent to the pond where I plant moisture-lovers like Joe Pye Weed, Turtlehead, Swamp Milkweed, Meadowsweet, and Swamp Hibiscus. The pond overflows to that area when we get heavy rain and we used to leftover liner there to hold the moisture. No pretty pictures of it in my collection for some reason. Helen Nash publishes some good books about ponding that I’ve found helpful. A friendly community of ponders (and other gardeners) is online at GardenWeb; the Pond and Aquatic Plant Forum can be found here. There are as many types of ponds as there are ponders to build them, but one of the most beautiful (and with the largest and most photogenic koi) belongs to a couple on Long Island NY who are very generous with their knowledge and often post awe-inspiring photos of their ponds at the forum. There is a lot of information and inspiration on their website. I love to sit out by the pond in the evenings after work. I love seeing what will grow well each year and what surprises there will be. I love the critters that turn up and take advantage of the little haven we’ve provided for them here. Happy ponding, Susan!